Carl Asker, ultramarathoner and running coach. NEW CANAAN — How to get into running? Always stay curious. That’s what Carl Asker, a Swedish native and ultramarathoner, said. Asker’s skin is taut with multiple veins popping at every muscular contraction; his calf muscles are essentially powder kegs, ready to explode. 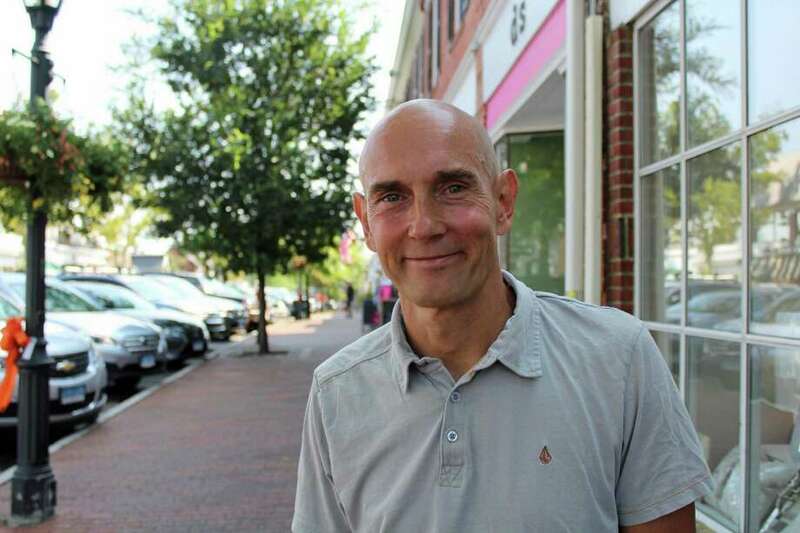 A New Canaan resident of 16 years, Asker also coaches novice and experienced runners on technique and pace. Q: How did running start out for you? A: Frankly, I didn’t start out until very late in life (36). As I got older, I always wanted to run a marathon, so I started looking at all these books about how to run and all the literature said was about how to lay out a training schedule, plans and drills, but it never talked about how to properly run, technique-wise. It was always about how you were unique and different. I’ve always been curious all my life and I didn’t think that that was a good answer, so I started researching even more. I found Dr. Nicholas Romanov, who was at times controversial because he advocated that we should run with thin shoes and not cushions and that we should land on our forefoot and not on the heel. Then the book “Born to Run” came out in 2009. I both love and hate the book because the book talks about how the Tarahumara Indians in northern Mexico run hundreds of miles on sandals made out of car tires. They don’t have broken bones or anything. When I discovered this technique, not only was I extremely sore in my calves but it was an awakening when I shaved my marathon time by 28 minutes using this technique with the same training preparation. You’re basically landing on the forefoot, not the toes. This technique takes a long time to reshape, most people after reading the book want to try this out with five-finger shoes and people will come to me with metatarsal stress fractures because they thought they could do the same they were doing before with this new technique. Q: What inspired you to take up ultramarathon races and Ironmans? A: I’ve always been a guy who wants challenges. I’ve done a lot of things in my life, I have done four Ironmans, I’ve done other triathlons but then I decided to run an ultramarathon. There was this 200-mile ultramarathon in Vermont in 2008. I was running in minimal shoes, low cushion and low to the ground. The amount of cumulative climbing was 43,520 feet of climb and an equal amount of descent. Imagine one and a half times Mount Everest up and the same down, that’s the amount for the whole race and it took me 96 hours to complete. This was the first 200-mile race in the United States. There were only 8 people who signed up. Six started, and two completed the course (Asker was one of the two to finish). I was 45 at the time and the guy who won was 32. It was in November so there was snow at the top and ultramarathons now are run in nice weather in the middle of the summer. It was a tough race but that was probably my biggest accomplishment in running. When I ran this race, I thought to myself that this technique worked. You don’t need to have cushioned foot to run 200 miles and so it was clear to me that this was something that worked. Q: Which has been your toughest race? A: The toughest and the one I’m most proud of is when I got invited to run the Barkley Marathons. It’s a 100-mile race and it has over 62,000 feet of climb. It’s ran in Tennessee and has a Netflix documentary. Only 35 people in the world get invited to run this race per year and I got invited three times. I ran it all three times but here’s the thing — only 15 people have completed the race since 1986. I failed, miserably, all three times. There was one guy who finished it on his ninth try. Q: What makes the race so difficult? A: When you have ups and downs, you trash your legs. This race, with the amount of climbing and descending you have to do, and also the time limit of 60 hours and five loops. Most of the time, there’s only one guy by the last loop. Q: You’ve encountered challenges before; what made you unable to finish this one? A: It’s very hard to quit. Last time I did it in 2013, I went two loops but didn’t quit but I ran out of time. Most people quit but I had been there before and that time I wasn’t going to cut the trail, I was going to complete the course — I didn’t quit but I ran out of time. I had run it in 2009 and 2011. It’s a very difficult race. The guys who are finishing this race are Ph.D.’s or physicists, why? Because when you run this race, you have to navigate this. The only thing you can use is a compass, no electronic gear. A: I coach individuals who want to improve their running techniques. I’ve done this for 10 years now. It’s very rewarding — some people are willing to embrace it takes six to 10 months for your body to adapt to this technique. I use a high-speed camera and send you videos of what you need to work on. The biggest problem is with perception of how they run. I’ve had people come to me saying they don’t heel strike and I have to show them in slow-motion what they’re running like. My job is to align reality with your perception.